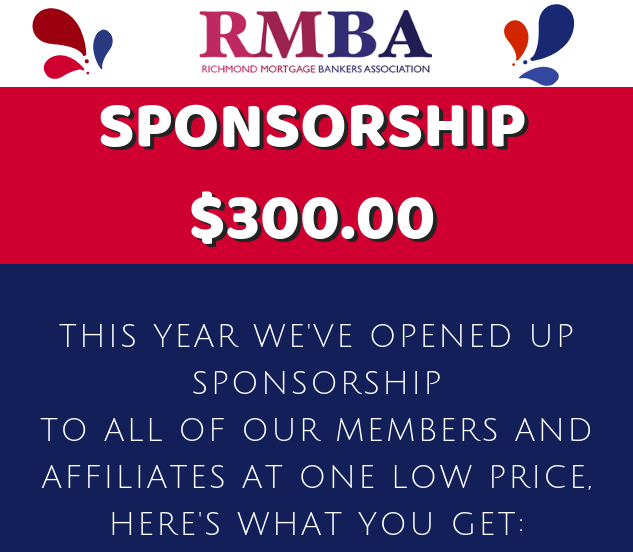 The Richmond Mortgage Bankers Association (RMBA) is the local chapter of theVirginia Mortgage Lenders Association and of the National Mortgage Bankers Association. We represent the real estate finance industry. As an organization we are dedicated to helping our members do their business better and more effectively. We actively advocate for our members by staying abreast and informed of local, state and national laws that affect our business. We promote fair and ethical lending practices and promote professional excellence among all types of real estate finance companies. We provide training and education to our members as well as being a referral source for additional information.